Check out the Ticket Prices of the Philippine Azkals vs. Uzbekistan for 2018 FIFA World Cup Russia™ – Asian Qualifiers/ AFC Asian Cup UAE 2019™ – Qualifiers. Our team Philippines is still undefeated in this event and they need a support from the Filipino fans. Uzbkistan team is one of the best team in Asia. 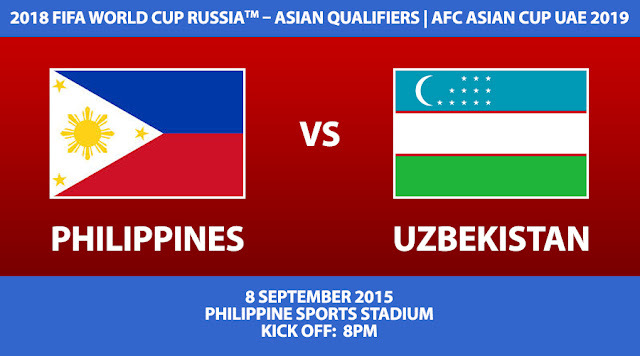 It will be a hard game for the Azkals but we believe that the will get the victory.